NC-9: Vacant for the Year? Jan. 15, 2019 — The 9th District of North Carolina, still with uncertified electoral results from November, could conceivably remain vacant until the November municipal elections as the situation continues to unfold. The NC State Board of Elections was supposed to have met on Friday, and at that point would likely have scheduled a new election, but the panel itself is a political football. A state judge acted to dissolve the membership by refusing to issue a stay of his previous ruling. 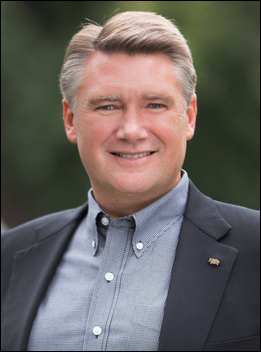 North Carolina Republican Mark Harris has filed a court challenge to the Board of Elections not certifying his win in NC-9 and claiming his 905-vote lead should stand. The panel became a tug of war between Gov. Roy Cooper (D) and the Republican dominated state legislature even before the NC-9 controversy arose. During the transition between the time that Cooper unseated GOP Gov. Pat McCrory (R) in the 2016 statewide election and his taking office Republican legislators changed certain laws. One of those moves concerned the Board of Elections’ composition. A judge eventually ruled that the legislature acted unconstitutionally regarding some of the changes including the legislation regarding the Board of Elections. The board was supposed to be dissolved after the election certification period, but the NC-9 problem earned the group a stay of the original ruling. The judge, however, did not see fit to allow them to continue in the new year. At the end of the year, with Republican legislators desiring to change the special election law that would allow an open primary system instead of the general election rerun that would have been the previous board’s only option had they ordered a new vote, a new election law was enacted. In a deal with the Democrats, the Republican leadership passed a bill that allows the open primary in exchange for giving Gov. Cooper what he wanted in terms of Board of Elections’ personnel. The bill passed overwhelmingly in both houses, but the governor vetoed. The legislature immediately overrode his action. Jan. 7, 2019 — When the new House of Representatives convened last week, they did so with only 434 voting members, not 435, as the situation in North Carolina’s 9th District remains unresolved. To recap, Republican Mark Harris scored an apparent 905-vote victory over Democrat Dan McCready on election night, but the results remain uncertified due to what a majority of Board of Elections panel members are citing as voting irregularities in one county. The panel is scheduled to next meet this Friday, Jan. 11th, and organizing a new election is the likely resolution. Therefore, with Republicans controlling the legislature, they quickly constructed a legislative package that would give Democratic Gov. Roy Cooper largely what he wanted in naming a new Board of Elections panel, while changing the post-election law to allow open primaries. This would give the GOP the opportunity of replacing Harris in the general election. The legislature quickly passed the reform package at the end of the year with an overwhelming margin, because most Democrats voted for the bill as it included their much-wanted Board of Elections changes. The legislation was sent to Gov. Cooper with veto-proof majorities in both houses. Oct. 27, 2016 — It is very possible that the US Senate majority, if not the presidential race, will be decided when the hard fought races in New Hampshire and North Carolina conclude. In the past two weeks, New Hampshire polling trends have been suggesting that the top of the ticket is becoming a lock for Hillary Clinton, which should be very important for down ballot Democrats. During the past 10 years the Granite State electorate has consistently voted top-to-bottom sweeps for one party or the other, so a big Clinton New Hampshire victory is a positive sign for all other Democratic candidates here. But, a new poll shows a potential breaking of this paradigm. The latest University of Massachusetts/YouGov poll, conducted during the Oct. 17-21 period and interviewing 848 individuals that narrowed to 772 likely voters, found Sen. Kelly Ayotte (R) assuming a three point, 46-43 percent, re-election advantage over Democratic Gov. Maggie Hassan that grew to 48-44 percent when “leaners” were added to the calculation. Conversely, in the equally close and important US Senate race to the south, the latest Tar Heel State polls had been pointing to small but consistent leads for Republican incumbent Richard Burr. The release of a North Carolina university poll from the New York Times/Siena College (Oct. 20-23; 792 likely North Carolina voters), however, posts challenger Deborah Ross (D) ahead of Sen. Burr (R) by a scant one-point margin, 47-46 percent. Sept. 13, 2016 — New polls were just released in states that will define which party controls the Senate in the next Congress. Five polls, four from Quinnipiac University, are now in the public domain from Florida, Indiana, North Carolina, Ohio and Pennsylvania. If these latest polls prove correct, the Senate majority would be decided in Nevada and New Hampshire, two toss-up states that were not included in the released data. The first Q-Poll gives further evidence that Sen. Marco Rubio (R) is expanding his slight lead over Rep. Patrick Murphy (D-Jupiter). According to the data from Quinnipiac’s September Florida statewide poll (Aug. 31-Sept. 7; 601 likely Florida voters), Sen. Rubio has extended beyond the polling margin of error and now records a 50-43 percent advantage. Any problem he had with Republicans based upon his poor Florida performance against Donald Trump in the March 15 presidential primary appears to be resolved. This Q-Poll finds him attracting 89 percent of Republicans as opposed to losing just six percent of them. This brings him to partisan parity with Rep. Murphy, who captures the Democratic vote with a similar 91-7 percent. Rubio is doing very well among Independents, taking this group 53-37 percent. Feb. 22, 2016 — Last week, the North Carolina state Senate passed a new congressional map, responding to a court-ordered directive to remedy what a three-judge federal panel determined to be an illegal draw in Districts 1 (Rep. G.K. Butterfield-D) and 12 (Rep. Alma Adams-D). The lines were struck down just 39 days before the state’s primary election. The resulting map, constructed and passed within a 14-day period, is substantially different from the current map. It pairs one set of incumbents, likely causes two Republican House members to square-off in a primary election, eliminates an African-American district, makes several of the 10 Republican districts more competitive, and calls upon the Board of Elections to re-schedule the congressional primary election while nomination contests for all other offices proceed as scheduled on March 15. Since the court in its ruling about the two original African-American majority districts declared there is no evidence of polarized voting in North Carolina, Section 2 of the Voting Rights Act does not apply. Therefore, the Republican map drawers took the opportunity to break up the famous “I-85 district” that traveled from Charlotte up Interstate 85 to capture predominately black precincts in Winston-Salem, Greensboro, and at one time, as far away as Durham. 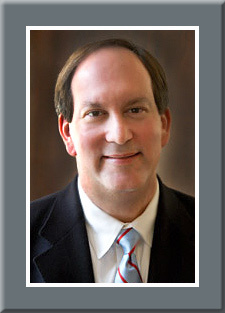 Greensboro’s Rep. Adams’ 12th District that the court invalidated is now eliminated. Adams will find herself in a new Republican-leaning 13th District, while the new 12th is fully contained within Mecklenburg County and will probably elect a white Democrat from Charlotte.